Welcome to day 20 of my 24 days of Slimming World Christmas Buffet Recipes. 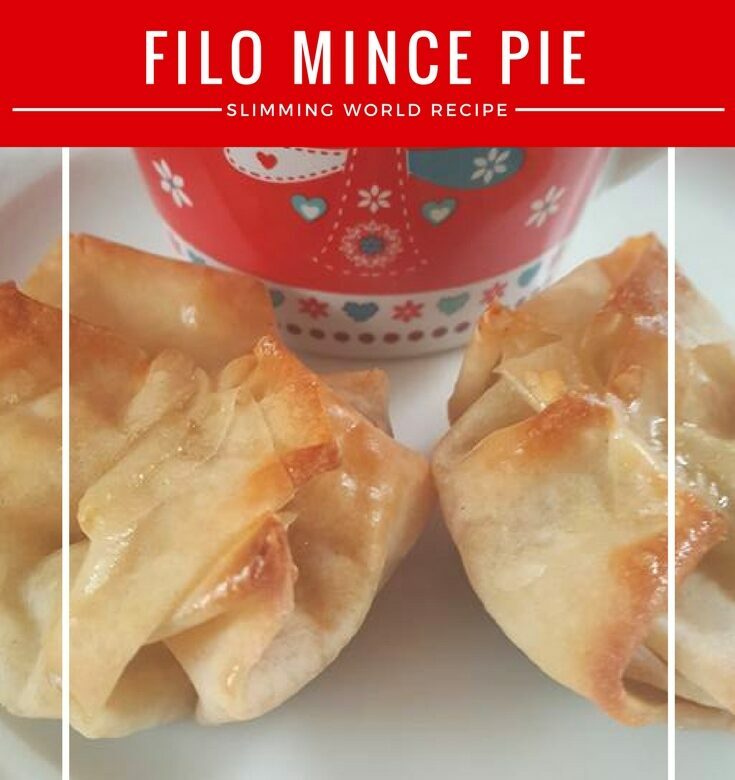 Today’s recipe is for Slimming World Filo Pastry Mince Pies. I look forward to my first mince pie of the season but I don’t look forward to using a huge amount of syns on just one. These filo pastry mince pies are only 2 syns each and this recipe makes 24. Cut each filo pastry sheet into 6 squares. Place one square into a muffin tin press down gently. Take another square and lay it crosswise on the first square. Press down gently. Put a level teaspoon of mincemeat onto the pastry and fold the corners over to seal the pie. Tomorrow’s recipe is for brownie bites. Please note: I’m not a Slimming World consultant. I haven’t been trained and I’m not affiliated with Slimming World so please check all your own syn values.